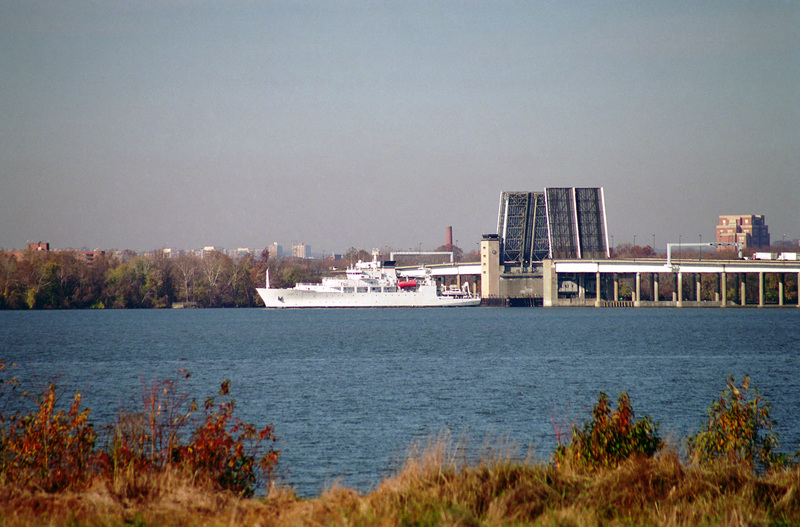 Laid down, 13 October 1995, at Halter Marine Inc., Moss Point, MS.
2293k USNS Henson (T-AGS-63) underway in the Potomac River while passing through the open draw of the Woodrow Wilson Memorial Bridge shortly after departing Alexandria, VA., 23 November 1998. 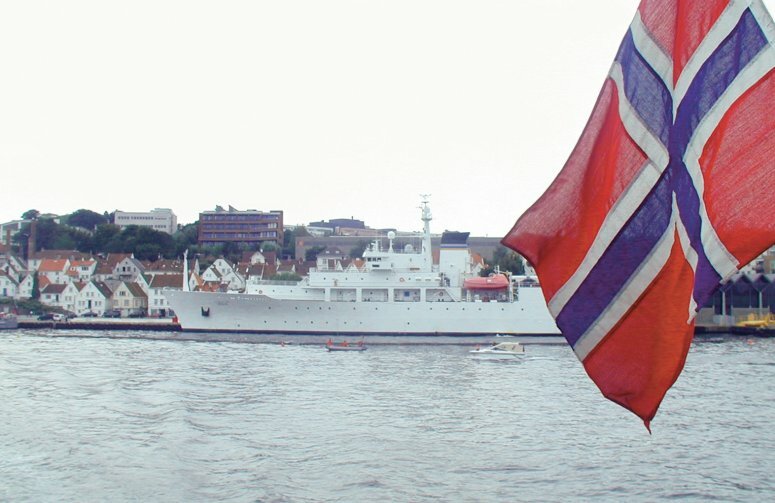 71k USNS Henson (T-AGS-63) moored pierside Stavanger, Norway, date unknown. 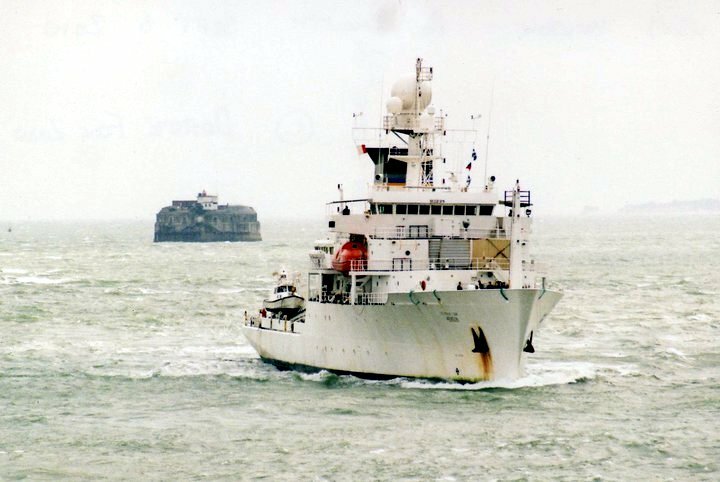 302k USNS Henson (T-AGS-63) under way, 3 June 2002, location unknown. 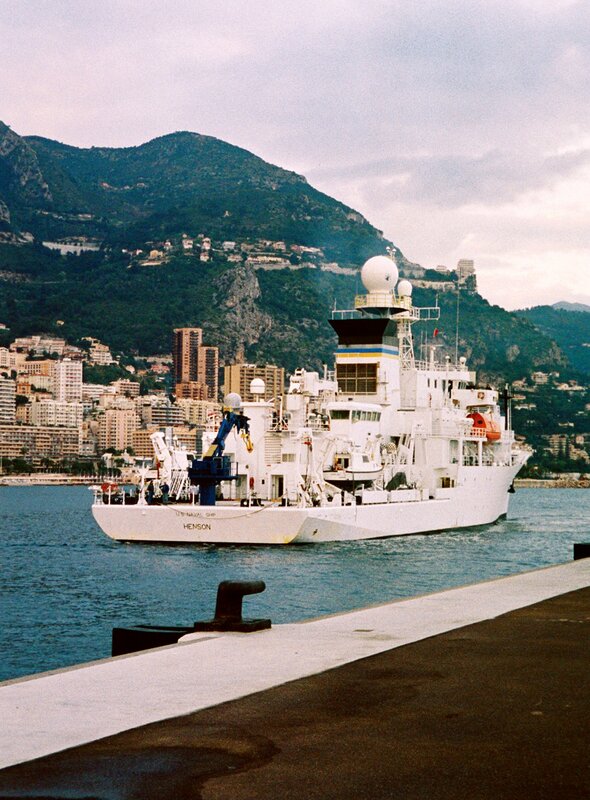 677k USNS Henson (T-AGS-63) arrives at Monaco, 11 October 2005. 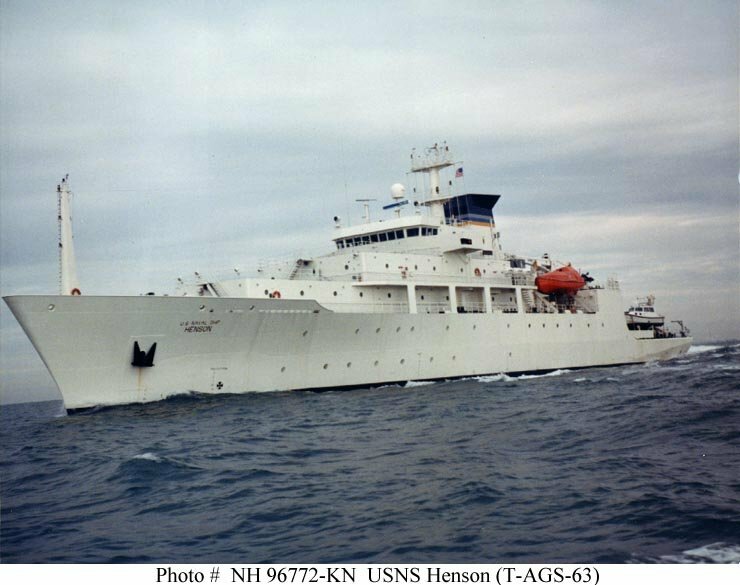 1771k USNS Henson (T-AGS-63) arrives at Naval Station Guantanamo Bay to support humanitarian efforts of Operation Unified Response. 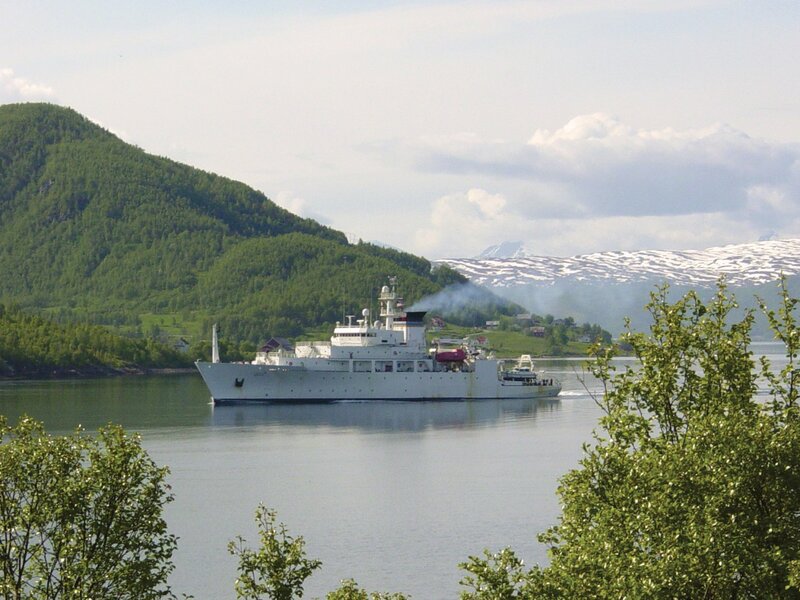 The multipurpose ship performs acoustic, biological, physical and geophysical surveys, providing much of the U.S. military's information on the ocean environment. 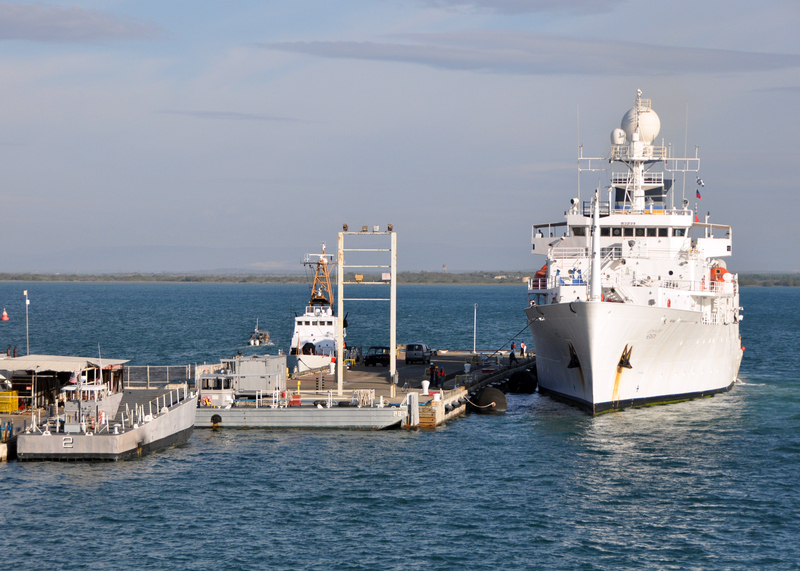 2180k USNS Henson (T-AGS-63) arrives at Naval Station Guantanamo Bay, Cuba to take on fuel and supplies. 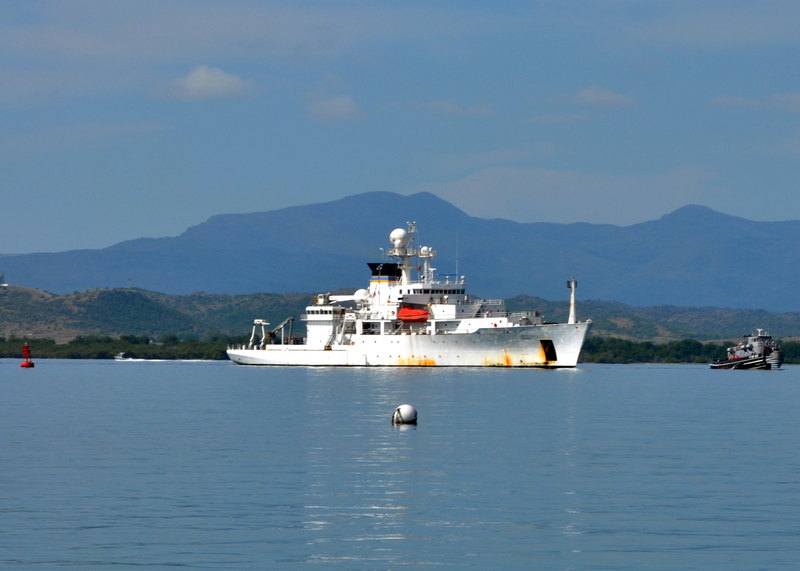 Henson has been operating off the coast of Haiti supporting humanitarian assistance missions after a 7.0 magnitude earthquake caused severe damage in and around Port-au-Prince, Haiti Jan. 12. 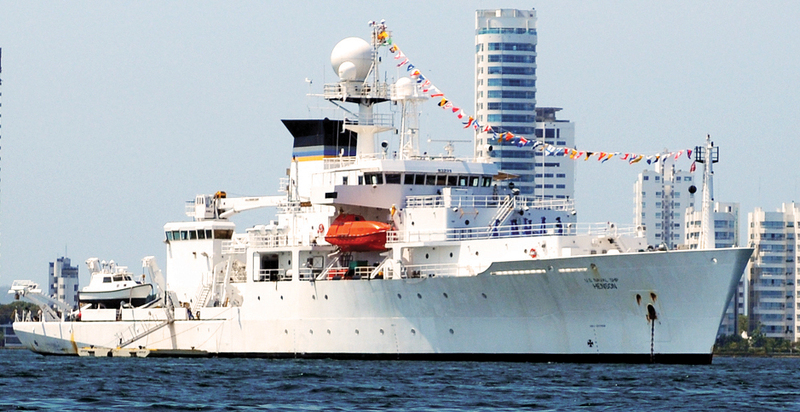 The multipurpose ship performs acoustic, biological, physical and geophysical surveys, providing information on the ocean environment. 477k USNS Henson (T-AGS-63) anchored at Cartagena, Colombia, 9 March 2010.